Trans Towers is a recently launched Office complex at Vazhuthacaud. This massive building is the first BOT project of its kind in Kerala, where a private party has developed infrastructure on public land and is leasing it out to Govt. agencies and businesses. This dazzling building will house offices, banks, a supermarket, restaurant and the KTDFC HQ. Another superb addition to the growing list of landmark buildings in the city. Soon, the luxurious Dodla Int'l hotel project which is nearing completion opposite the Commissioner's office will provide some company to Trans Towers. 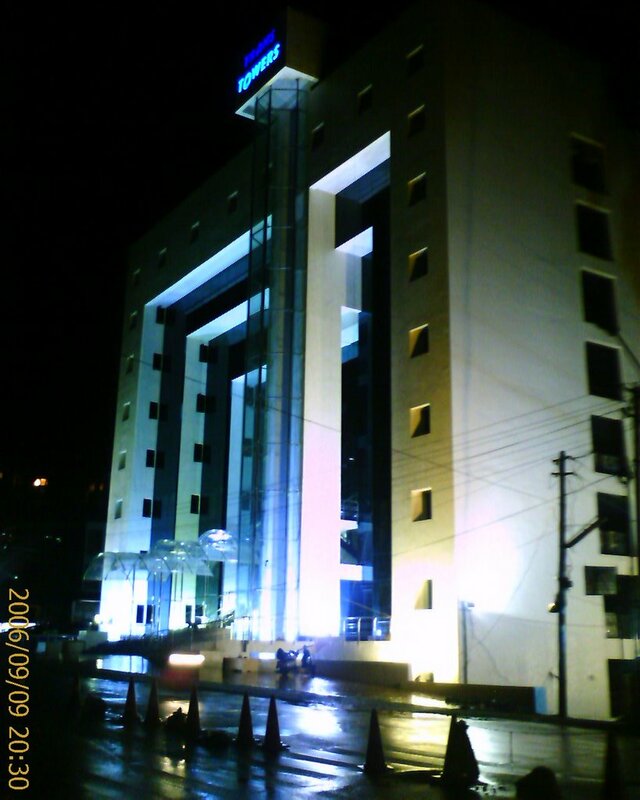 Ajya, nice and snazzy building. BTW see it from another angle..